As we can see in the H4 chart, BTCUSD has already been corrected to the upside by 23.6%. The next possible targets of this ascending correction are the retracements of 38.2% and 50.0% at 7350.00 and 7850.00 respectively. The support level is the low at 5750.00. 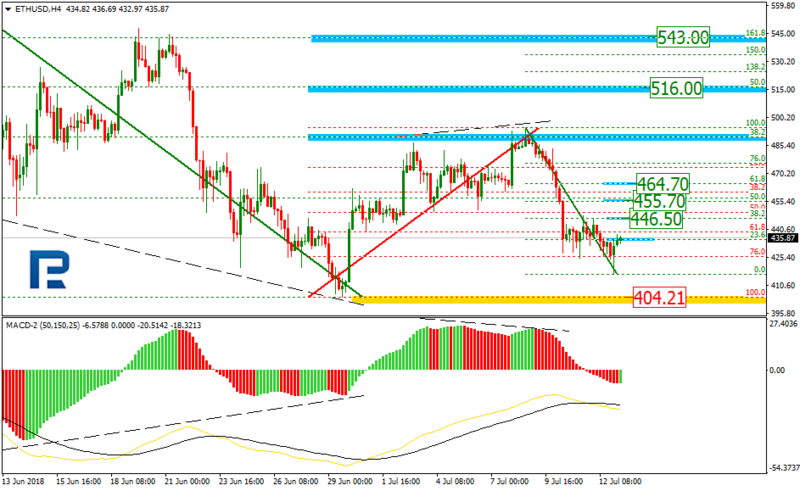 In the H1 chart, the divergence made the pair reverse and formed a new descending correction that completed at the retracement of 61.8%. Later, the instrument stared another correction to the upside, which has already reached the retracement of 23.6%. 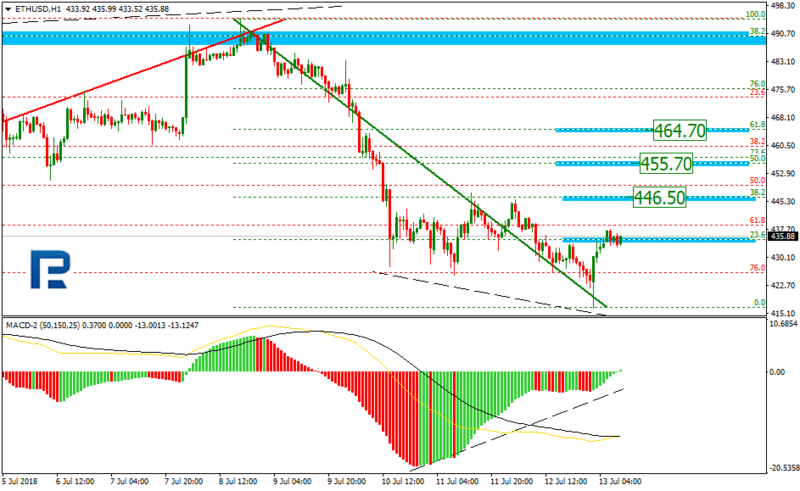 The next possible targets are the retracements of 38.2% and 50.0% at 6350.00 and 6437.00 respectively. 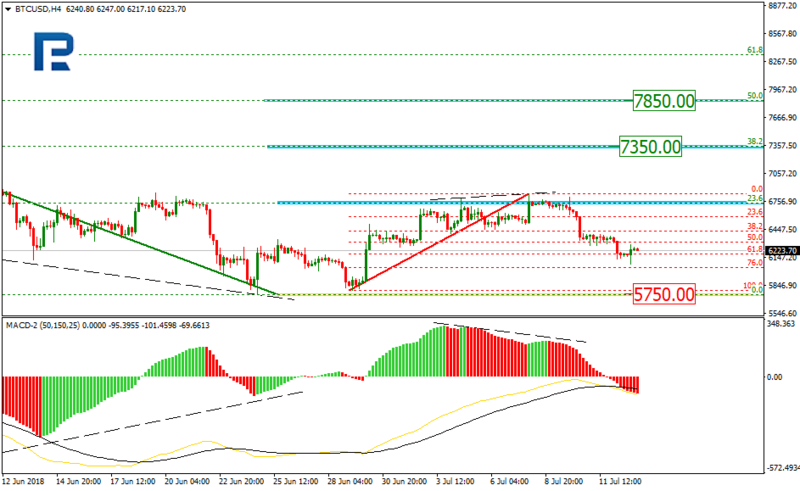 As we can see in the H4 chart, ETHUSD is being corrected upwards and has already reached the retracement of 38.2%. 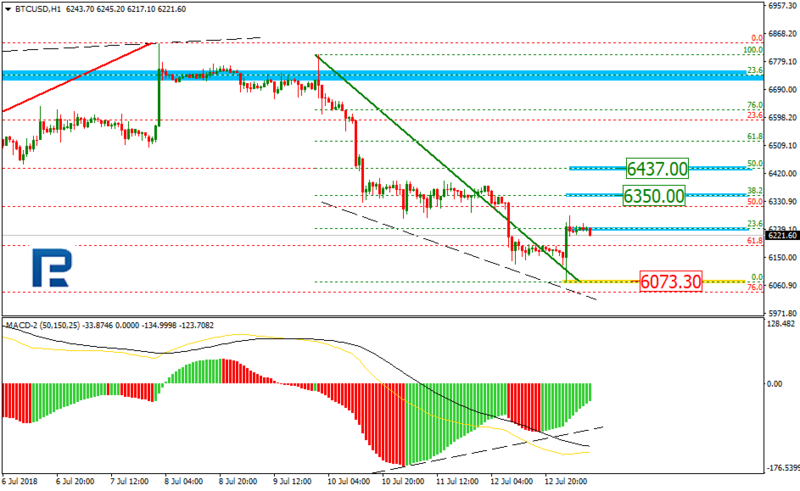 The next upside targets are the retracements of 50.0% and 61.8% at 516.00 and 543.00 respectively. However, if the instrument breaks the low at 404.21, it may continue falling towards the post-correctional extension area between the retracements of 138.2% and 161.8% at 372.00 and 353.00 respectively. In the H1 chart, the convergence made ETHUSD reverse and start a new correction upwards, which has already reached the retracement of 23.6% and may continue towards the retracements of 38.2%, 50.0%, and 61.8% at 446.50, 455.70, and 464.70 respectively.